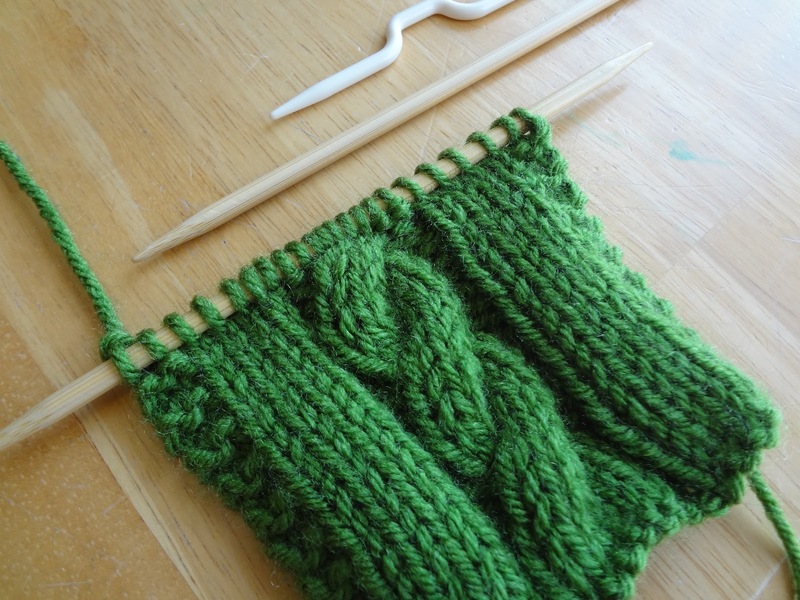 Before I learned how to make a cable in my knitting, the idea totally terrified me! It looked so complicated and I was sure it was for only those with tons of knitting experience...not the case! 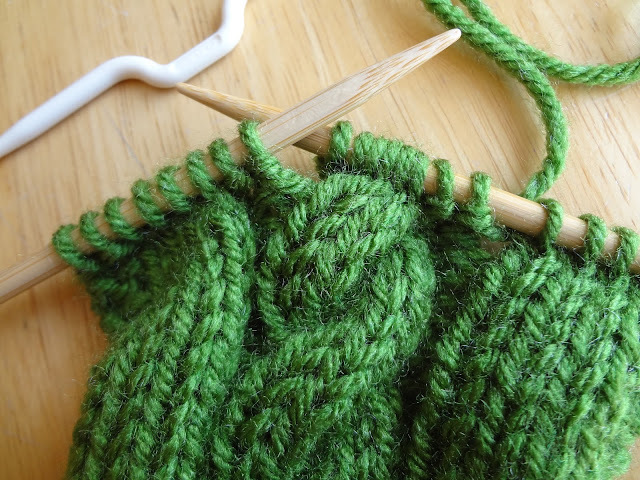 Quite simply, making a cable in your knitting is just a matter of changing the order in which you knit the stitches. That's all. This photo tutorial will guide you through the process of making a very basic cable so that you may add them to your hand knits too! After you learn the basics, you will be able to then move on to more intricate and advanced cable work. In order to make the cable, you will need a cable needle...here are some I have (metal and plastic), straight ones are also available, the bent ones are helpful for beginners. My favorite are Clover brand (the pink and white). 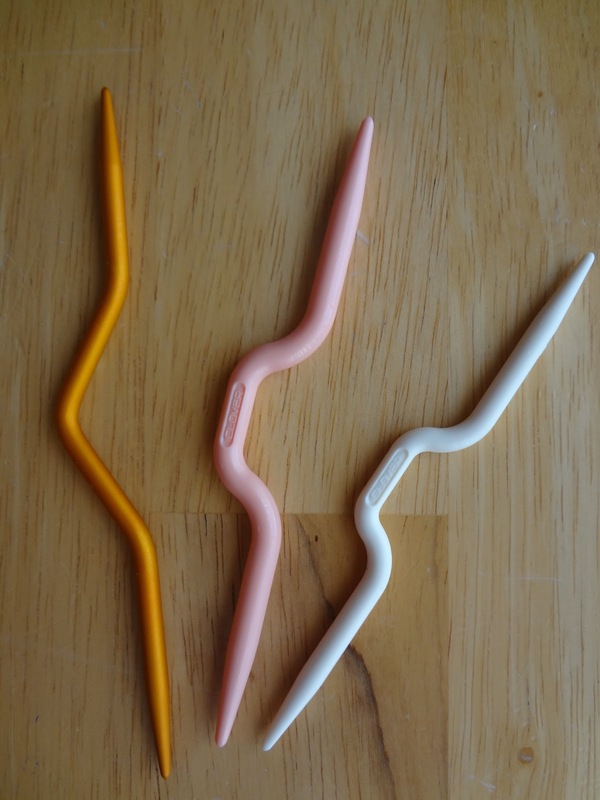 Knit Picks also makes gorgeous wooden ones...on my wish list! Basic cable making involves knitting to where your cable is in the pattern, placing the indicated number of stitches on the cable needle, then holding them either in the front or back of the work. 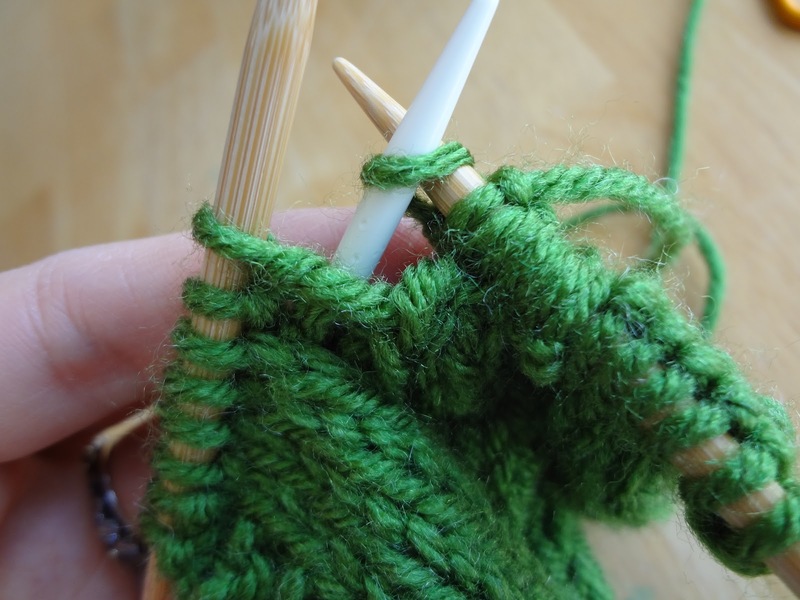 You then knit the next group of stitches, then the stitches on the cable needle. *Important to Know: Holding stitches to the back creates a right crossing cable (as shown in our example) and holding the stitches to the front creates a left crossing cable. 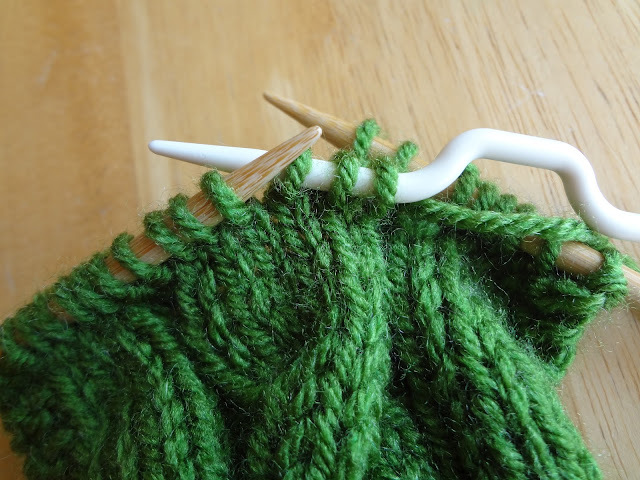 Move the stitches on the cable needle to the back of the work. Then resume with the remainder of the row. There you have it! 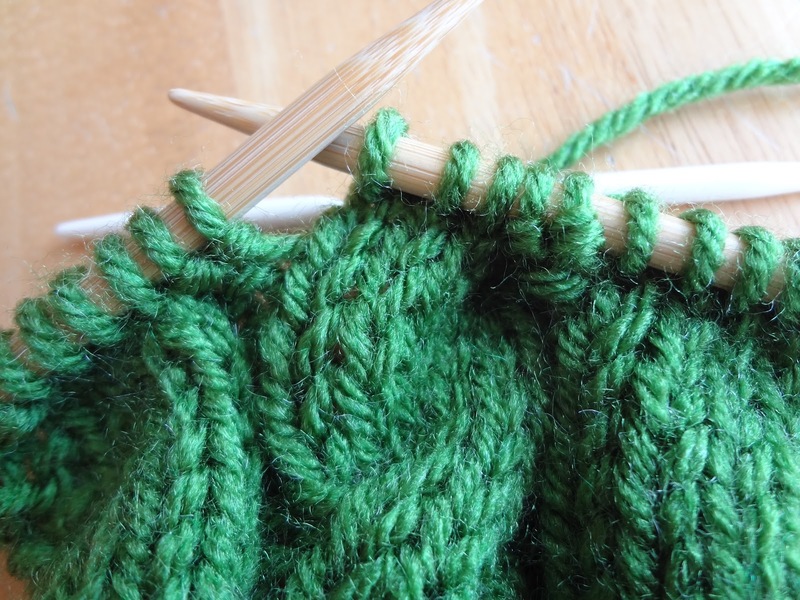 Simple to knit cables with dramatic beautiful results...another added benefit of cables are the extra warmth they create with the double thickness of fabric. Thank you! And...yay! Good for you...go for it! Do you do that the whole way till the end Or do you Do that only at certain points? It depends on what your pattern instructs you to do...for example you can repeat the cable twist every couple of rows or there can be several twists that are repeated across a row. Usually there is a combination of both. I've tried cables and I have found them to be extremely easy to understand but difficult to execute. The second half of the cables (knit the 3 off the needle) to be extremely tight and had visible threads after. It didn't look neat and tight like yours, but loose, even though I had to fight to get the cables worked. Any suggestions? I think it could be the tension...when switching back and forth from needle to needle, it can be cumbersome...sometimes it is a lot to hold all at once! I would keep practicing...over time my cables looked neater that when I first began. 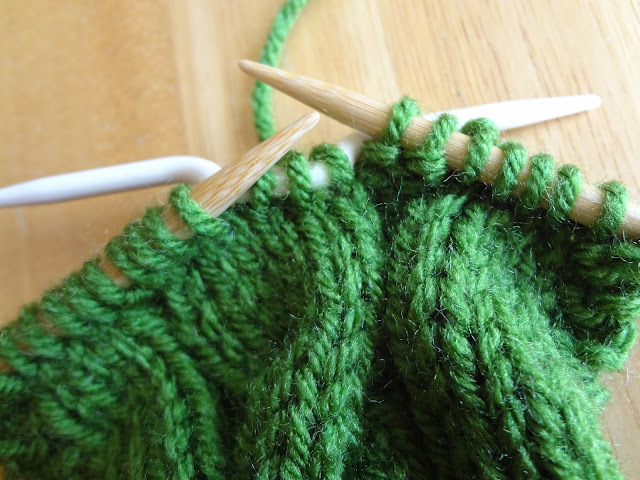 Those cable needles that have a little curve in them seem to be very helpful when starting out too. Hope that helps! You're welcome, glad you like the tutorial! 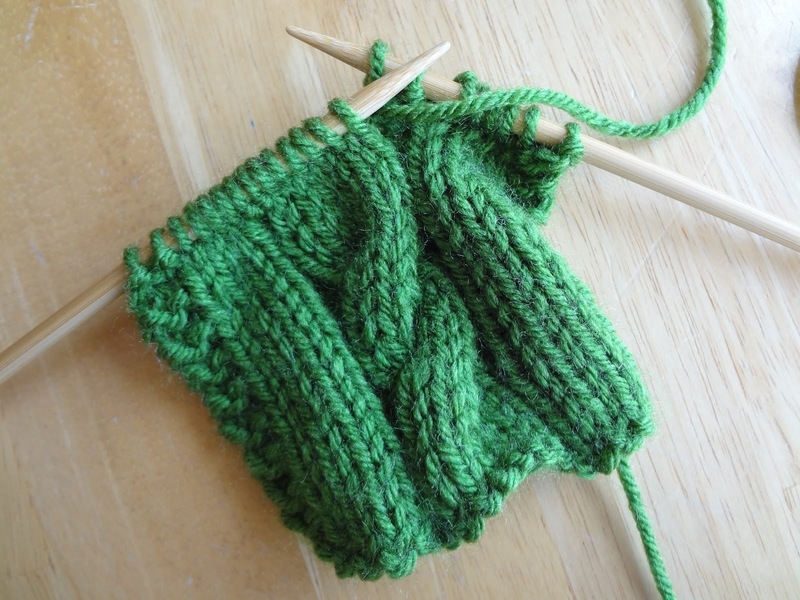 can you tell us what stitches you used before and after the cable.? looks like it would make a cute scarf. 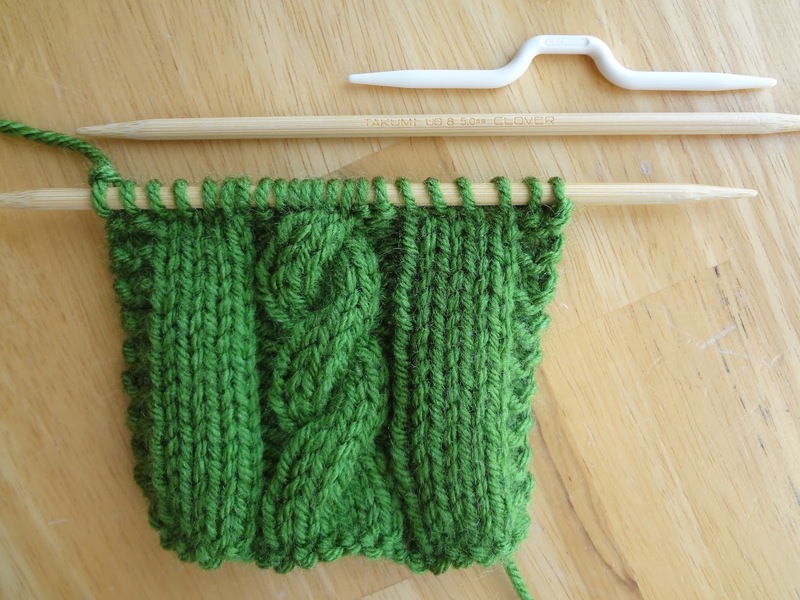 Should the cable needle be the same size as knitting needles so cabled stitches are not so tight?